Water, fire, smoke, mold, and similar elements can cause tremendous amounts of damage in relatively short periods of time. At Rainbow International Restoration of South & West Suburbs, we offer 24/7 disaster restoration and cleaning services to address these issues. Our technicians respond with purpose in order to limit the extent of the damage and get your home or building restored. No matter the scale or recency of the event, we do everything possible to return your building and belongings to their original condition. We offer these services to residential and commercial property owners in the Lombard, IL, area. It is important to contain water damage as quickly as possible when you notice it on your property. 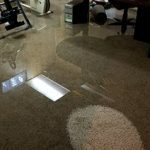 Water damage can be caused by a number of events including floods and plumbing leaks, and it has the potential to spread rapidly. 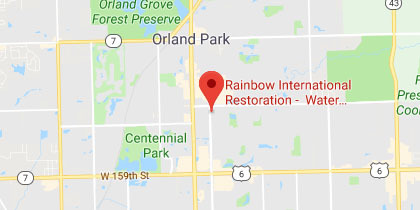 At Rainbow International Restoration of South & West Suburbs, we offer water damage restoration services to eliminate the threats posed by excess water and moisture. Whether the damage is caused by a leak, flood, burst pipe, overflow, or something else, our technicians will respond swiftly to restore your property. We offer these 24/7 services to property owners in Lombard, IL. Fires are among the worst events that can occur in residential and commercial properties alike. The flames themselves can cause catastrophic damage, while the resulting smoke and soot can lead to additional issues long after the fire is put out. 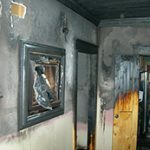 At Rainbow International Restoration of South & West Suburbs, we offer full fire damage restoration services to address all aspects of the recovery process. Our IICRC-certified technicians are available 24/7 to assist you in your time of need. We offer these services to property owners in the Lombard, IL, area. At Rainbow International Restoration of South & West Suburbs, we offer mold remediation services to remove all mold from your property. In many cases, the mold that you see is only the tip of the iceberg. 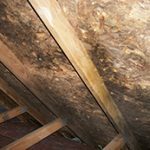 It often grows in areas that are hard to see and reach because it feeds on wood, drywall, and similar building materials, and requires a source of excess moisture. With our advanced mold-locating equipment, and mold-elimination procedures, we will remove mold from your property, and restore affected areas. We offer these services to property owners in Lombard, IL. Since 2007, we have assisted property owners of all kinds after they have experienced extensive damage from a disaster. John Gurtler (our founder) instilled a certain level of social responsibility and dedication to local communities in our business. John grew up around the construction industry and is intimately familiar with large-loss scenarios. Each of us at Rainbow International Restoration of South & West Suburbs share his passion for helping others. We believe this is a strong reason why we have been able to grow and continue to assist others. As we continue to grow, we do everything we can to maintain the quality of our restoration services, as well as our customer service. One way that we ensure the former is through the extensive training of our technicians. Each one of our specialists is IICRC certified and undergoes regular training in various disaster-restoration fields. To address the latter, we require all of our employees to pass an extensive background check and adhere to our company culture. The last thing we want to do is send someone with a questionable background to your property. In recovery situations, you have enough to worry about as is. It is also important to note that we can help you on any scale. We regularly assist homeowners with rather isolated incidents, as well as businesses that experience major disasters. No matter the scenario, we will respond rapidly, work diligently, and get you back on your feet. Our services are comprehensive and open (meaning we are happy to communicate our progress to you at any time). In large-scale events, we can leverage our connections in the construction industry to help you from start to finish. As a part of Rainbow International’s nationwide disaster restoration franchise, we also have the ability to work with neighboring franchises following major disasters. Rainbow International Restoration of South & West Suburbs offers a price match guarantee in which we will match an estimate you receive from a professional that does their work in line with the IICRC’s standards of care. We can also work with your insurance company if you file a claim and provide direct billing to bill your insurance provider for the claim.